Pumpernickel now weighs about 1 2/3 pounds and measures 14 inches - about the length of a scallion. The little one's ears are much better developed now, and it can most likely hear us talk/sing/play guitar to it. I can't believe we are already to the 6 1/2 month mark! Everything seems to be going by so fast. 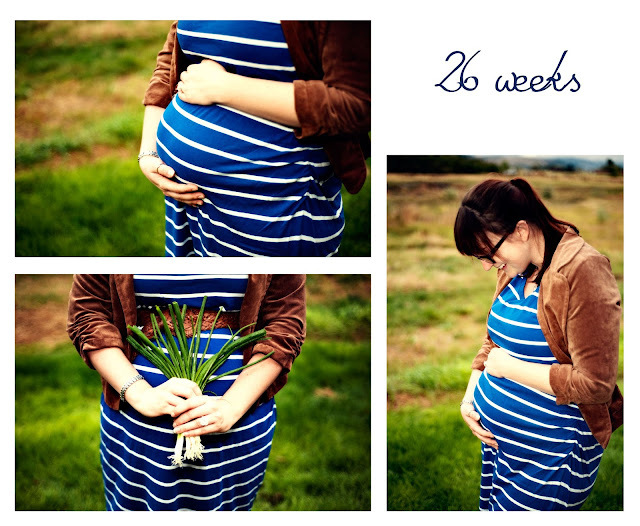 Thinking back on the pregnancy so far, I am so thankful that I have had such a relatively easy time (knock on wood). I don't know if it's me, or the baby or some combination of the two, but whatever it is, we've got it going on! I hope that through the next couple of months, little one and I continue to smoothly grow together.